Home > Vegetables > Lepanto Greek Stuffed Vine Leaves. 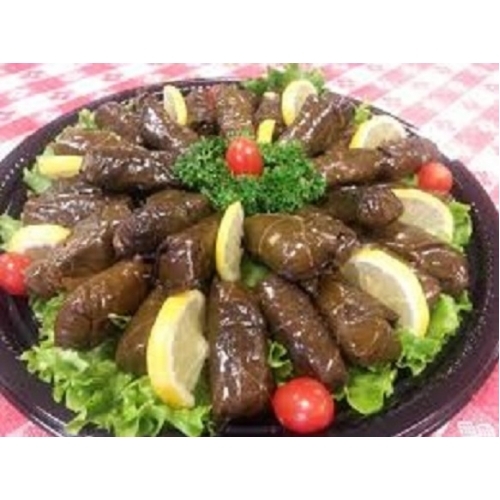 Dolma / Dolmades. 2kg. 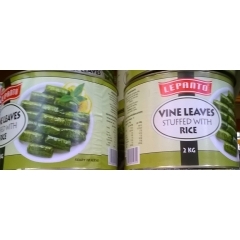 This favorite Greek delicacy is made with selected granular rice, fresh dill and mint expertly wrapped in soft and tender early harvest vine leaves. No added artificial additives, colours or preservatives. Servings Per Tin: Approx. 18. Note: Brand may vary depending upon availability.